Abbotsford/Victoria – JANUARY 16, 2019 UPDATE – BC Sheriff’s Service re-posted an Abbotsford Police drone shot that shows the progress in construction of the new Abbotsford Courthouse. (Next to the current location of Abbotsford Police Headquarters. The new $150M law courts is being constructed within the city centre civic precinct, on land leased to the Province by the City of Abbotsford, and will be open and operating in 2021. Once complete, the 14-room courthouse will include new provincial and Supreme courtrooms. There will also be judicial conference space, along with added capacity for community justice programs. UPDATE – JULY 11, 2018 – On Wednesday July 11, BC’s Attorney General, David Eby,attended the groundbreaking ceremony for the future courthouse complex in Abbotsford. 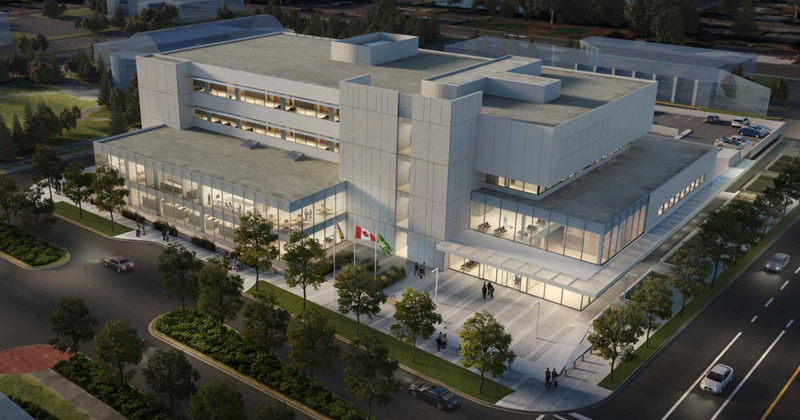 Slated to open in early 2021, and adjacent to Abbotsford City Hall, the courthouse will provide improved access to a broad range of legal resources by consolidating a variety of justice services into one location. Once complete, the 14-room courthouse will include new provincial and Supreme courtrooms. There will also be judicial conference space, along with added capacity for community justice programs. The $150-million project will provide work opportunities to an estimated 1,000 B.C. workers, and will provide registered apprentices with valuable experience in the province’s skilled trades sector. 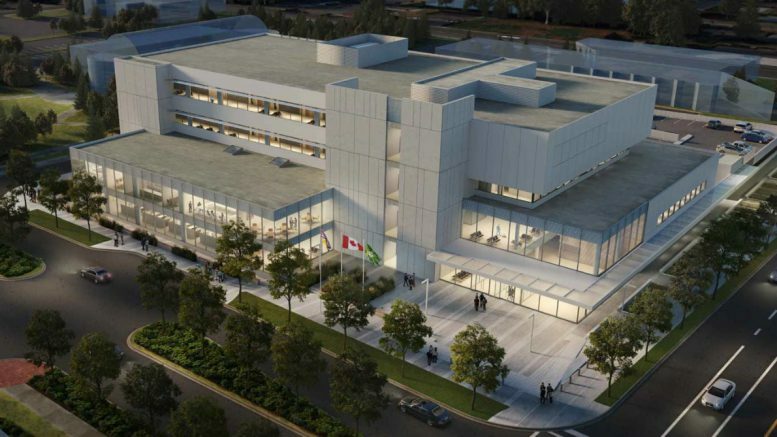 Abbotsford City Councilor Dave Loewen Tweeted: Ask @BCSheriffs what they’re pumped about; they’ll say that soon they will have a state-of-the-art courthouse instead of the small, out-dated courthouse they now occupy. Today I was in Abbotsford with colleagues from Abbotsford Council and Jason Lum from Chilliwack Council and the Fraser Valley regional district. As well MLA’s from across the region with Deputy chief justice for British Columbia supreme court and BC’s attorney general, breaking ground on the new Provincial Courthouse! This project will help in a timely administration of justice for everyone across BC! Groundbreaking ceremony at the new courthouse in Abbotsford. Grand Chief, and Judge Steven Point presiding. We are happy to hear that Supreme Court Services will be preserved in Chilliwack, and are equally happy for our neighbours in Abbotsford, and the broader Fraser Valley which will benefit from better access to court services. 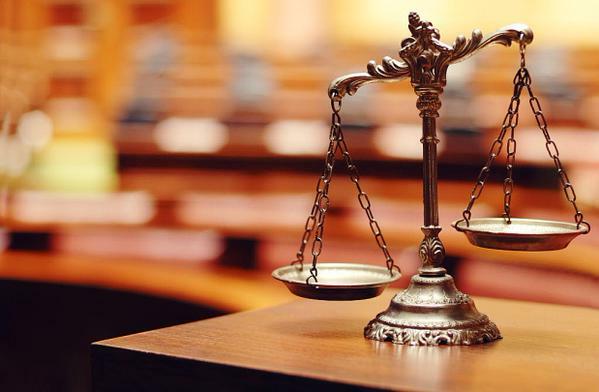 ORIGINAL STORY OCTOBER 3, 2017 – The Province is building new law courts in Abbotsford to keep pace with growth in the lower Fraser Valley, one of B.C.’s fastest-growing regions. Three proponent teams have been shortlisted for the project, which is estimated to create over 1,000 jobs during the course of construction. The original announcement of the courthouse can be found here. Currently Chilliwack and New Westminster have similar facilities, and for Abbotsford, this has been a long time coming to serve Abby and the Central Fraser Valley. Be the first to comment on "UPDATE – Construction Of New Abbotsford Courthouse (VIDEO)"